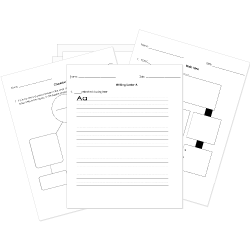 You can create printable tests and worksheets from these Grade 5 Adjectives questions! Select one or more questions using the checkboxes above each question. Then click the add selected questions to a test button before moving to another page. Fill in the blank with an ADJECTIVE: The weather today is adjective . I'm wearing adjective clothes. This summer will be very adjective ! Fill in the blank with an ADJECTIVE: Today at school, I am very adjective . There is a adjective test in my writing class. I studied for a adjective time. I will do my best! Fill in the blank with a CORRECT form of the adjective. My cold this morning is even than yesterday. The blue, swift cat leaped over the wooden, rotten fence before the angry dog could reach it. Please don't leave clothes on the floor. What is the adjective in the following sentence? The brilliant student passed the test. The air outside is very humid. Decide whether the adjective in all caps is attributive or predicative. The LONELY boy wished for a friend. The fat cat ate the food. The three pound weight is than the five pound one. Find the comparative form of the adjective CLEAN. Which of the following words is an example of an adjective? Choose the best indefinite adjective to fill in the blank. We have options to consider before we make a decision. I don't know what you're making, but it smells DELICIOUS! I think people purchased their wristbands online. Find the adjective in the following sentence. I loved the buttery mashed potatoes my grandma used to make on holidays.